The Accu-Chek Spirit 3.5mL cartridge system features a built-in filling-aid that snaps easily and securely onto standard 10mL insulin vials, facilitating safe and rapid filling. The ergonomic plunger rod gives you good control of the filling process and a hidden needle protects you from accidental needle sticks. 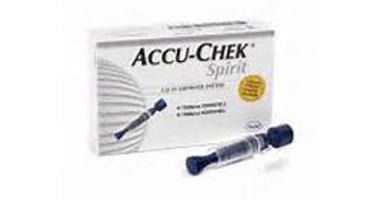 Cartridges come packaged 5 to a box and replace the former Accu-Chek Spirit 3.5mL cartridge.